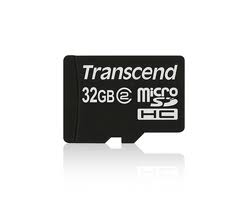 Transcend is a leading manufacturer of storage and multimedia products. The extensive product portfolio has grown to include over 2,000 memory modules of every type, flash memory cards, USB flash drives, MP3 players, digital photo frames, portable hard drives, multimedia products and accessories. Products are available for proprietary equipment, as well as for mass marketed PCs. Transcend Information. Inc., was founded in 1988 by Mr. Peter Shu and has its headquarters in Taipei, Taiwan. It is a global company with offices around the world, enabling them to serve all the major markets and provide superior quality of service to customers. The overseas offices were opened in California, USA (1990), Germany (1992), The Netherlands (1996), Japan (1997), Hong Kong (2000), China (2000), UK (2005), Maryland USA (2005), Osaka Japan (2007) and Seoul Korea (2008). Transcend is a strategically integrated Hi-Tech company which not only designs, develops, and manufactures their own branded products, but also markets and sells their own devices. Unlike other memory providers, Transcend works directly with customers, in additional to businesses. They have a very successful retail store chain in Taiwan and on-line sales have been growing exponentially since 2000 following an e-commerce direct sales business launch. The goal is to ensure total customer satisfaction. The corporate culture that exists within Transcend is one of professionalism and teamwork. As a declaration of commitment to quality, the Total Quality Control concept was implemented throughout the company. As a result, Transcend became the first memory module manufacturer in Taiwan and the second in the world to receive ISO 9001 Certification. Transcend’s Advanced R&D Teams have over 19 years of experience in developing quality state-of-the-art Hi-Tech products that are at the very cutting edge of technology. A strong commitment, and high level of funding, to R&D ensures that we will continue to produce superior quality innovative products keeping us at the forefront of our industry and leaving the competition far behind. As a company Transcend can best be described as, a World-Class leader in the field of memory and consumer electronics, which brings you Tomorrow’s World, Today. Industrial use microSDHC Class 10 and CF170 CompactFlash memory cards in their memory card product line. With densities up to 64GB, these cards provide impressive read/write speeds of up to 20MB/16MB per second. Portable solid state drive (SSD) featuring the SuperSpeed USB 3.0 interface. The compact, easy-to-carry ESD200 delivers real-world transfer rates of up to 260MB/s. This is fast enough to transfer a full 4.7GB DVD movie in just 15 seconds. These are available in 128GB and 256GB densities.